Get your order in now for the acclaimed drama and save $5 at Amazon! 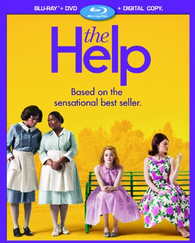 Amazon has already listed Disney's 'The Help' starring Emma Stone, Viola Davis and Octavia Spencer for Blu-ray/DVD/Digital Copy for pre-order and is offering a $5 off coupon for the upcoming release. The film that is currently rated 8.1 on IMDb.com is about how a southern town's unspoken code of rules and behavior is shattered by three courageous women who strike up an unlikely friendship. Specs, supplements, and a release date have yet to be revealed, but you can visit this page to clip the coupon located just beneath the pricing and put in a preorder with the discount. And don't forget with Amazon's price guarantee if the price should fall between the time the preorder is placed and the release date, orders will receive the lowest price as well as the coupon discount!